We really love motorcycles and can play at your bike nite. 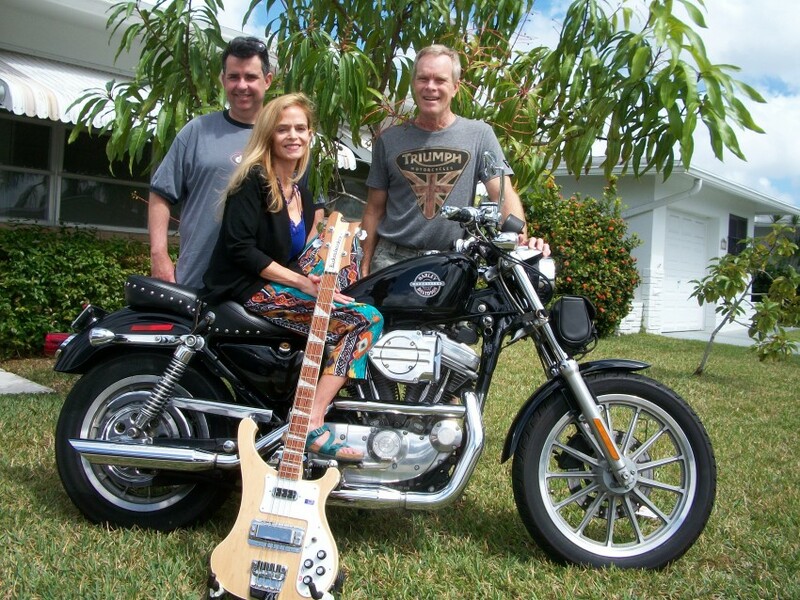 Donna & the Dominoes combines several decades of music for fun and enjoyment of most all ages and genres. Three awesome musically inclined friends get together and jam to everything from folk, soft rock and some hard rock classics. Donna & the Dominoes reflects the adage perfectly in the world of musical talent that the best things come in small packages: a three-person musician's band with a pleasantly surprisingly powerful punch. Listen for the band's creativity in their original songs too..a must hear to believe. Donna & the Dominoes with members of Rick Averill, Mike Donovan, and Donna Juliano have their own small footprint setup with various instruments from electric guitar, keyboards (depending on set list) drums, PA and more. The band plays their song list with little interruption as little as one break per 2.5 hour session. The audience has a great time and frequently dances. Donna & the Dominoes have combined musical experience spanning decades, with two of the members having a lifelong musical background. The band started as the original band for the "Robbie Hilliard Band", a band of global recognition.